New Platinum Curve Stairlifts from just £4695! 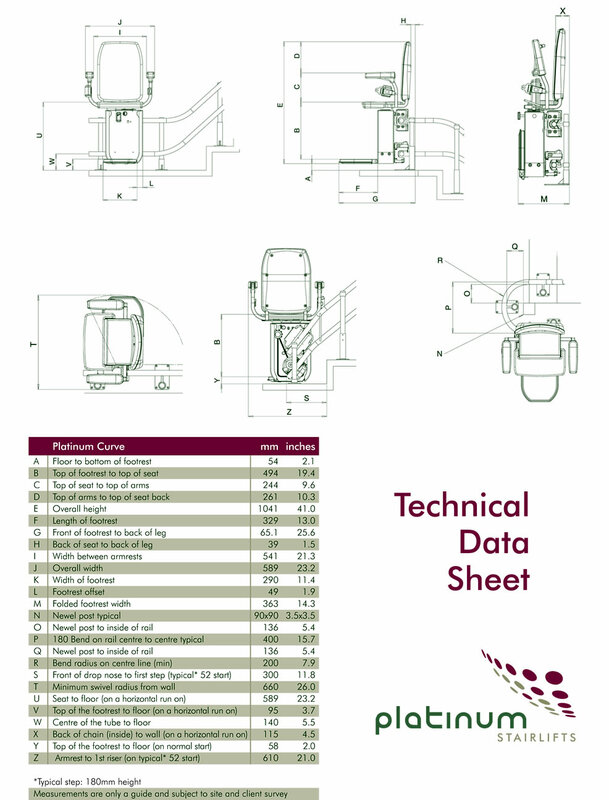 Platinum Curve Stairlift are hand built in the UK, to the exact measurements of your staircase, with the carriage being fully adjustable to your shape and size. 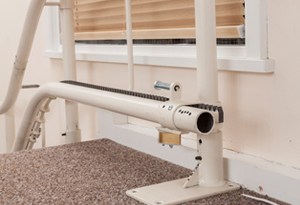 It can manage any turns or corners with ease, as the rail is tailor made to your individual staircase. The compact design and floor mounted rail means it takes up as little space as possible and does not affect your homes decor. With the Platinum Curve Stairlift you get a smooth, safe, comfortable ride and the freedom of your house once more. An ergonomic joystick fitted as standard to the ERGO seats. It nestles comfortably between the users fingers giving them total control at their fingertips. The digital arm display is easy to read and uses real-time diagnostics to let them know it current status or of any faults that may have occurred. 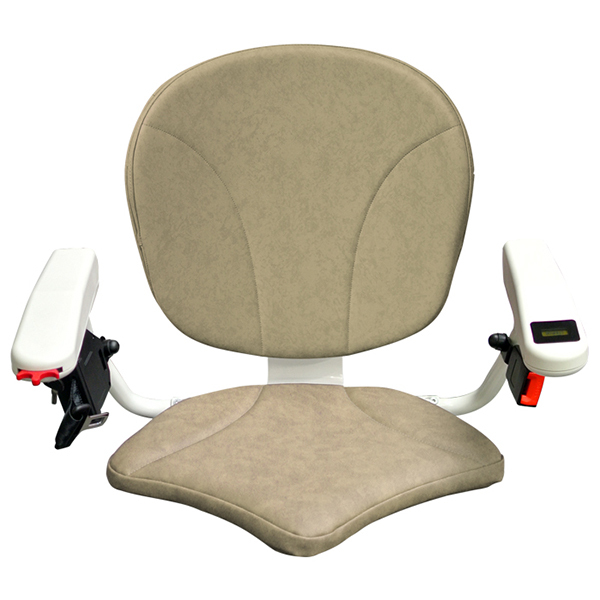 An easy to use swivel seat that locks in position is fitted as standard along with a retractable safety belt which offers additional safety when the Stairlift is in operation. 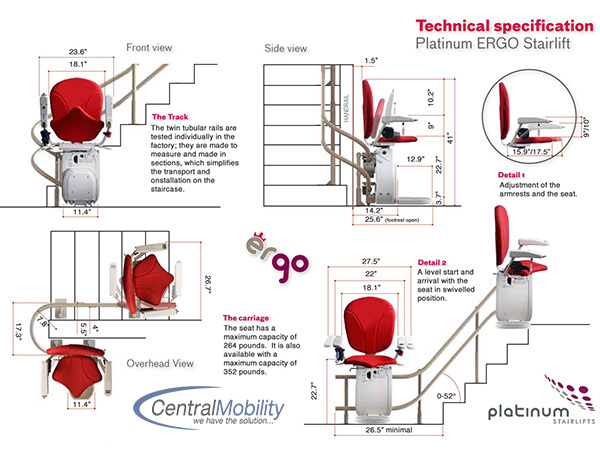 The ERGO seat is one of the most advanced Stairlift seats available. It is fully adjustable to the shape and size of the user and comes with plump filling for extra comfort. The ERGO-plus seat is also available where it is required to optimise leg position. 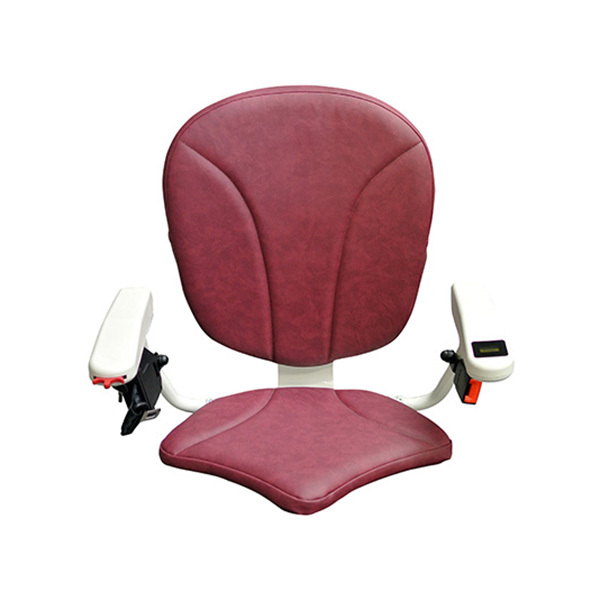 The sculpted shape of the seat pad allows the user to adjust their leg position to aid with mobility issues. The ERGO-space seat pad ticks all the boxes. Not only is it comfortable and have the same benefits as the ERGO-plus, it reduces the area needed to operate by a further 25mm, a total saving of 85mm. The Platinum Curve is powered by reliable batteries providing a smooth and efficient journey. The stairlift automatically determines whether it needs charging or not when it stops itself on the dedicated charging points located at each end of the rail. The footrest is solid and robust and comes with active safety edges fitted to each edge. These sense obstructions and bring the Stairlift to a stop if activated. 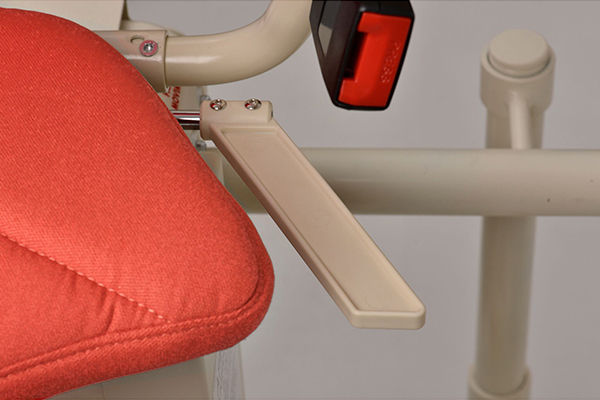 An easy to operate footrest linked lever allows the user to open and close it with ease. A powered option is also available. 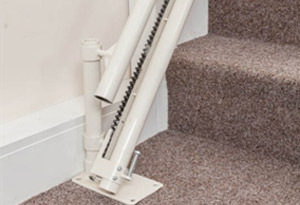 Special bends can be manufactured such as the 180° bend (available at both top and bottom) allowing the stairlift to turn back on itself around a newel post. 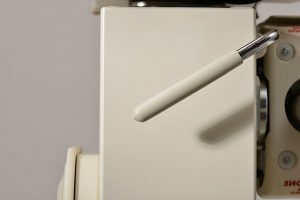 For doorways at the bottom of the stairs, an automatic powered folding hinge is available preventing a trip hazard when not in use. Where there is sufficient space at the top or bottom of the stairs, a straight over-run can be used. 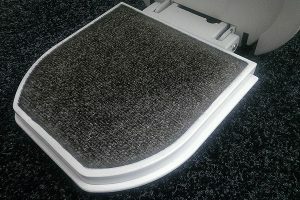 This takes the Stairlift away from the bottom of the stairs and transports the user directly on to the landing at the top. 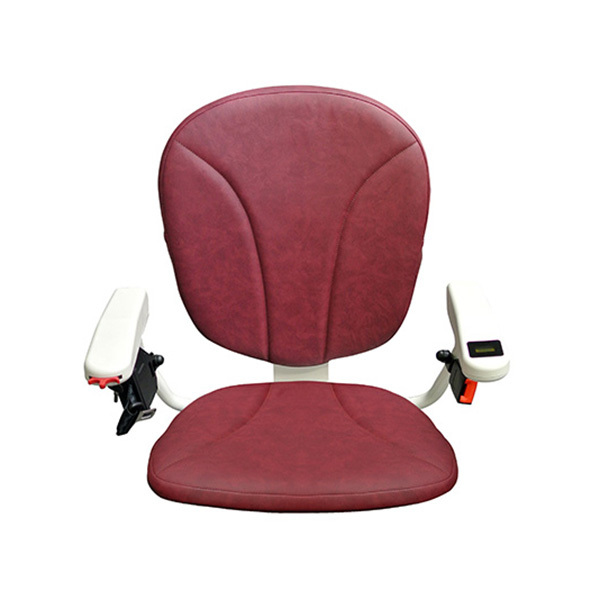 The user can simply step off eliminating the need to swivel the seat. If there is limited space at the bottom then a drop nosed rail can be used.